VOSS Water of Norway has added two exciting flavors to their already delicious sparkling water lineup, just in time for the holidays! These flavors are Tangerine Lemongrass and Lemon Cucumber and are already a hit among water enthusiasts around the world. The expert teams at VOSS artesan water have conducted thorough research into what flavors their customers would love to drink and have come up with these two amazing creations. Both flavors are all-natural and are refreshing when consumed on their own or with another spirit. Both are unique and pair up with a variety of meals, from the classic steak and potato meal to the more exotic Asian fusion meals. VOSS Tangerine Lemongrass and Lemon Cucumber are also perfect to rehydrate and refresh yourself the moment you feel yourself becoming thirsty! Ken Gilbert is the CMO of VOSS Water of Norway and has addressed his customers concerning the new flavors. He stated that VOSS drinkers are loyal and enjoy trying out new beverages in addition to the company’s traditional sparkling still water. He explained that they saw request after request through various social media channels for more combinations and flavors from the company. VOSS water has many social media channels, including their Facebook and Instagram page. Gilbert encourages users to check out both channels and join in on the conversation. The company welcomes fresh ideas, reviews and even any concerns customers may have. The newest VOSS water flavors are so special because they are perfect for the time of year that Americans are looking to get healthier, whether it is through diet or exercise, or both. According to a national survey taken of American citizens, 58% of men and women are looking to lead a healthier lifestyle as the months become warmer. Of those surveyed, 61% stated that one of their goals is to drink more water to lose weight and become healthier. Unfortunately, 39% of those surveyed said that the lack of flavor in water makes it harder for them to drink it. VOSS has a solution to this problem! Their newest flavor combinations are perfect for men and women who have a hard time drinking enough plain water for their dietary needs. The newest products are just what consumers are looking for when they are trying to get healthy. Far out on the southern tip of Norway sits a peaceful artesian spring that is removed from the business of the city. VOSS bottled water is bottled directly from this aquifer that is confined deep below the surface of the earth. The water stays pure and untouched as it is carefully bottled. VOSS is not only clean and refreshing; it is low in sodium and other minerals. Many people recognize VOSS because of the unique bottle design that captures the essences of the beverage inside. VOSS water is available in sparkling and still, including the newest two flavor combinations. It is available for purchase within the finest restaurants and hotels in 50 countries around the world. VOSS is also dedicated to their holistic and comprehensive approach to environmental stewardship by pursuing 100% carbon neutrality during their processing operations. 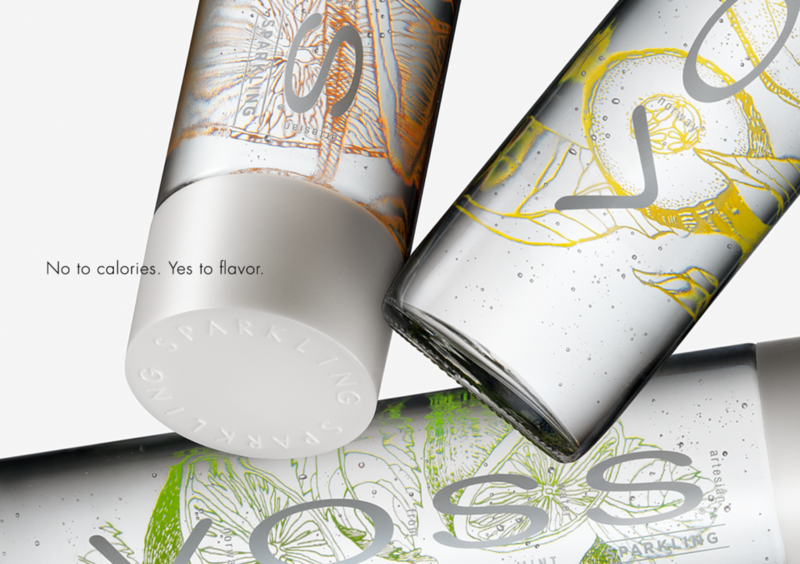 For more information about the company and their products, visit www.vosswater.com.